WORKS ON PAPER are subject to the accumulation of dirt and grime over time. ‘Foxing’ causes orange specks that interfere with the Work of Art’s appearance and worsens if untreated. If the Work of Art has been kept in damp conditions, moulds and stains can deteriorate the paper the artwork is on. The paper or card can also become acidic from past framing techniques and many Watercolours have been mounted to unsuitable non Acid-Free board. This will cause the paper to appear yellow and aged. 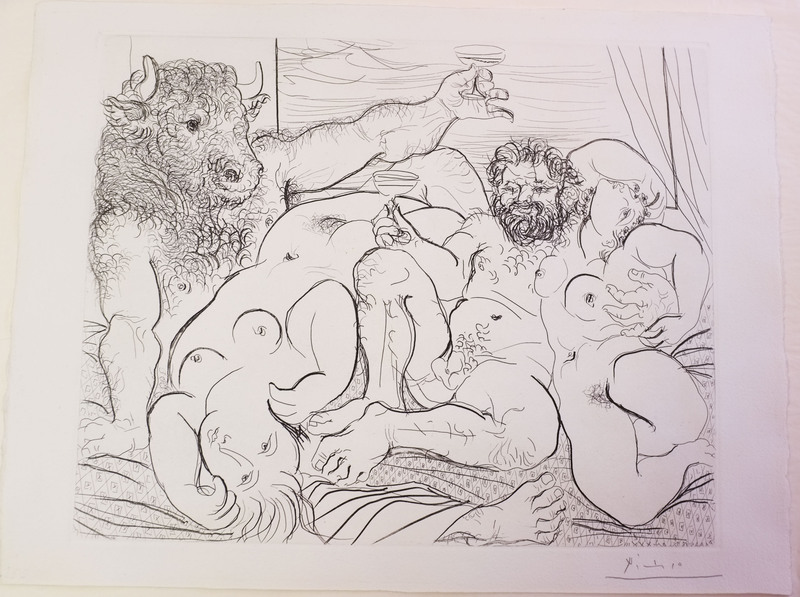 We have worked on etchings by Picasso (as shown here) and drawings by Whistler among many other celebrated Artists. 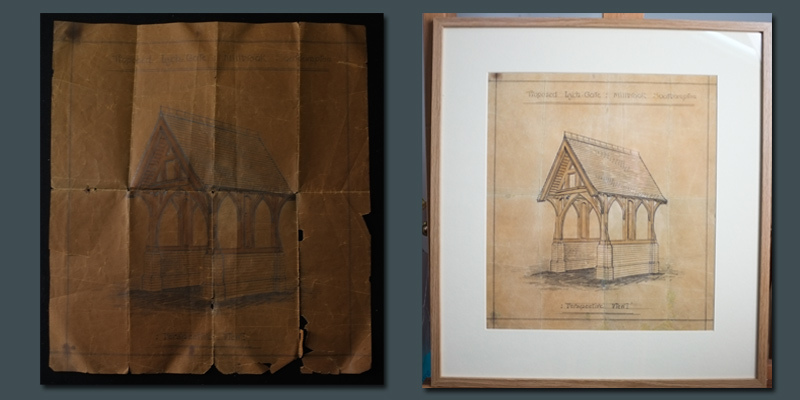 We have experience of Conserving and Restoring Antique Original Watercolours, Limited Edition Screen Prints, Aged Pastels as well as Lithographs and Drawings. 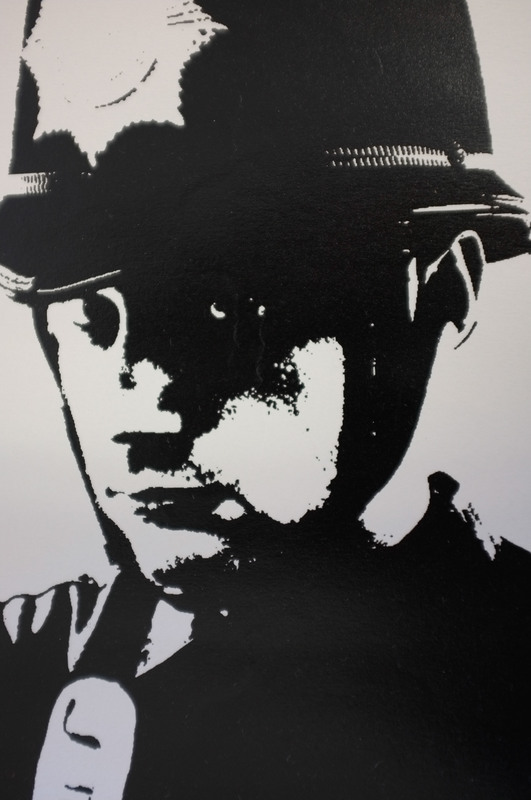 Modern Prints, such as those by Banksy, often require work in order to restore their value. We have experience of handling these works and minimising wear and tear and damage. If you require a Restorer but are not close to our locations, please feel free to email us and discuss the possibility of sending us the work via courier or post. Paypal can be used to keep transactions tracked. We recommend all work sent by post is insured, tracked and posted using appropriate methods and packing, which we can advise you on.